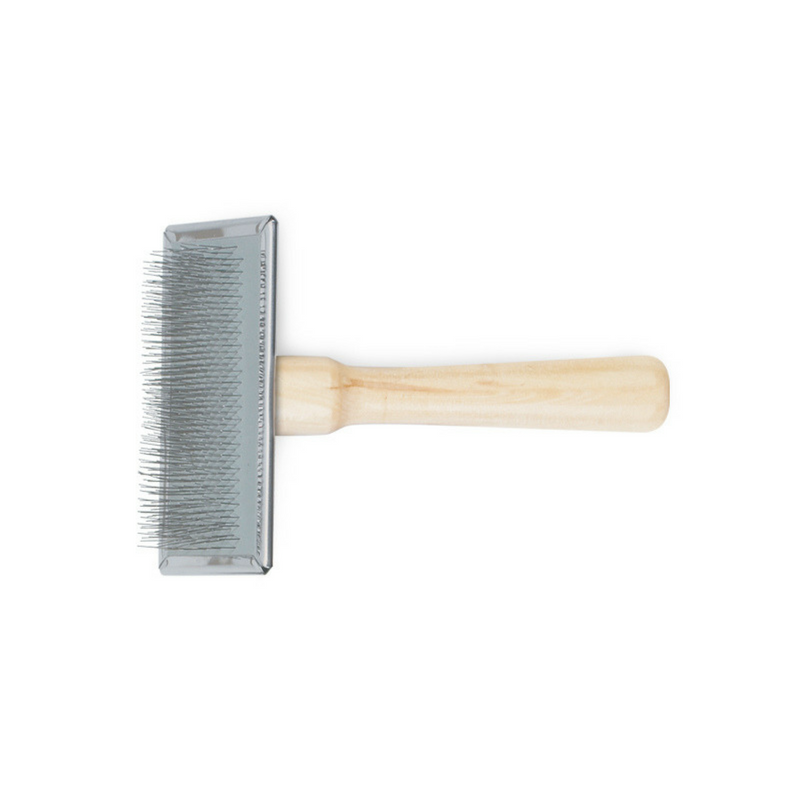 The Ancol Ergo Wood Handle Slicker Brush is a multi-purpose grooming tool for short, long, wiry and curly coats. The stainless steel pins are thin and bendy and can be used to ease out a tangle more gently than a comb. The pins penetrate deep into the coat and effectively remove large quantities of dead and loose hair from both the undercoat and the top coat. It is also ideal for show prep or for a show kit bag. For your own pet, grooming helps maintain a smooth and glossy coat and is an important way of bonding with them. The Ergo range from Ancol has a variety of tools to maintain your pet's coat, skin, and claws. The slicker brush is one of the essential "Between Groom" Grooming tools that will assist pet owners maintain the dogs between full grooms, must have for maintaining your dogs coat. This is the large brush. 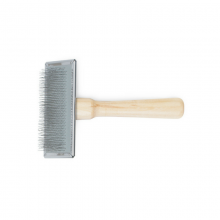 The head of this brush measures 11x7cm. Other sizes are available. Simply put, Ancol is an independent, family owned company specialising in the supply of pet accessories for dogs, cats and small animals. From our West Midlands base in Walsall we've been developing both functional and luxurious products for discerning pet owners for almost 40 years, using our unrivalled experience, passion and knowledge to become the market leader in pet accessories.